Cats engage in some pretty peculiar behaviours: they have an almost insatiable itch to scratch, they love kneading things (and even people!) with their claws, they sleep through a very large portion of each day, and they purr – which is adorable, but still a very strange behaviour when you really think about it. Like with almost any cat behaviour, and frankly almost anything to do with cats in general, the cat behaviour of biting then licking, or licking then biting, is a bit of an enigma. This isn’t just because cats are hard to understand and we haven’t yet studied them quite as well as we should have yet. It’s also because the things cats do sometimes mean one thing, while other times they mean quite another. Take purring for instance. 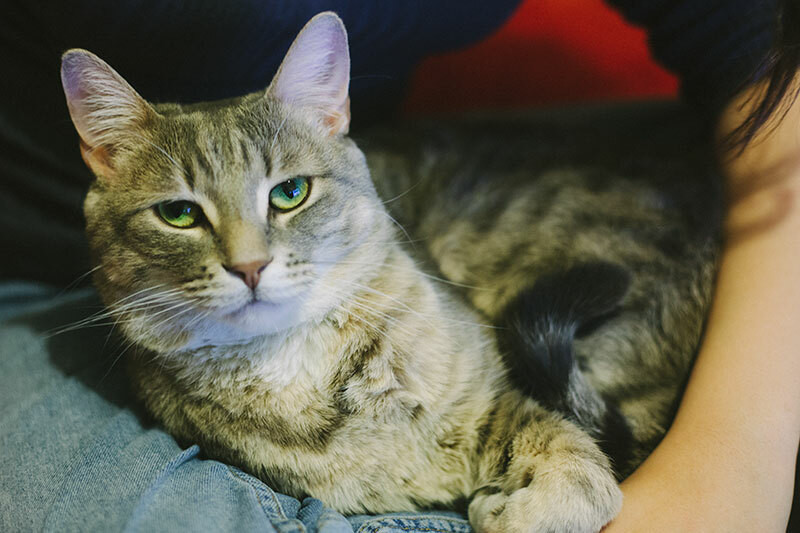 Yes, purring signifies a cat’s happy – but that’s only true most of the time. It’s not a hard and fast rule. You see there are plenty of other reasons cats purr, and if you assume your cat is purring because he or she is happy, when really in that moment your cat is purring because he or she is stressed, you’ve got quite another thing coming if you reach over to pet him or her. Getting an accurate picture that explains why your cat bites and licks you needs to encompass multiple possible reasons as well. 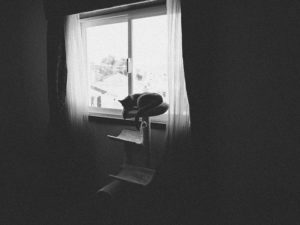 It’s up to you to determine whether, at any particular moment, your cat means one thing or some other through it’s behaviour. The issue? The behaviour of biting then licking can mean nearly polar opposite things. 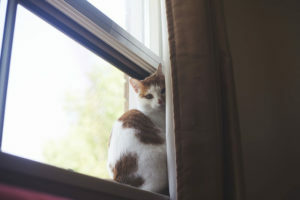 There is good news, however, as there are some tell-tale signs that should help you determine which message your cat is trying to send with his or her biting or licking behaviour in that moment. Option #1: It’s a love bite! Your cat is showing you affection. 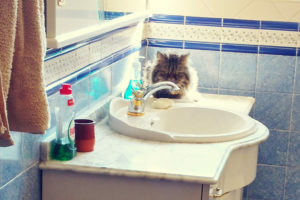 In a typical self-grooming session, a cat will sometimes gently bite his or her fur first, in order to remove something hard to get off or to untangle fur, then lick to finish off the cleaning process. Obviously, if a cat is grooming another cat, it will often do the very same thing. 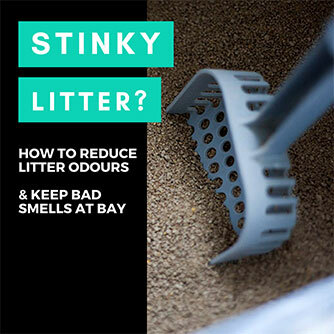 If your cat bites then licks you, this could simply be part of the grooming habit he or she has developed, and the equivalent of simply licking you to get you clean. Cats do sometimes gently bite to show affection – as a love bite of sorts. Licking, too often signifies affection, as when a cat grooms another person or cat, it’s usually a sign that he or she is comfortable and happy enough with that individual to groom him or her. Ultimately, it’s completely plausible that the only reason your cat is biting then licking you, or licking you then biting you is because he or she is showing you affection. If your cat doesn’t seem bothered at all by anything that’s currently happening (sitting close together, petting, etc. ), a message of affection may be the only thing behind the action. If you continue to do what you were doing before the bite and the lick happened and your cat shows no signs of increased aggression or agitation, chances are high you’re just being given a little love bite. But if there is some increased aggression after the bite, you’re likely looking at either option #2 or option #3 as the explanation behind your cat’s current bite-lick behaviour. Option #2: Your cat is telling you it’s done with physical attention. Since cats can’t communicate with us using words, they find other ways to communicate with us through the actions they take. 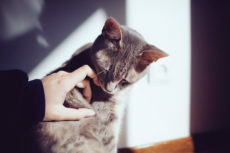 If your cat is done being stroked and pet, one of the easiest ways he or she can communicate this to you is by giving you a gentle little bite to signify he or she needs a break. If you happened to be petting your cat when he or she licked you, and you notice your cat is a little aggressive if you continue to pet him or her after the lick and bite, chances are high you’re looking at this as the most likely explanation for the bite-lick/lick-bite behaviour. 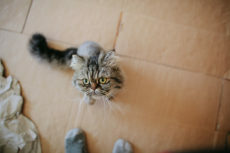 Option #3: Your cat is in a playful mood, and bite and licked to ask you to play with him/her. Again, communication through words just isn’t on the table for a cat. When your feline wants to play, he or she’s got to come up with a non-verbal way to tell you. Some cats whine. Other cats pounce or even scratch at you. Some cats will sit staring until you approach them. There are so many ways cats can try to communicate to us they’re ready for playtime, and certainly, the bite-lick combo including the play bite can be one of them. 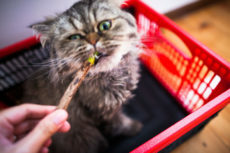 If your cat is using the bite lick combo to ask you to play, the easiest way to test this theory is to try playing with your cat immediately after the bite and lick. 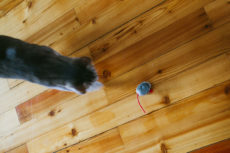 If he or she seems happy to see you making the effort to play and/or actively engages in playtime straight away, that’s almost certainly the message your cat was trying to convey. Cat indifferent to your effort starting playtime? If there was aggression from your kitty after the bite, you’re looking at option #2 instead. No aggression whatsoever after the bite? Your kitty was probably just giving you a little love bite of affection and not wanting anything to change at all. Has Your Cat Ever Done the Bite + Lick Combo On You? Have you ever had a cat who bit, then licked you, or licked, then bit you? Which order did he or she do it in, or was it a different order each time? Did you ever discover what your kitty meant by this behaviour? Was it one of the ones listed above? Do you think a cat could mean something besides the three options listed above by this odd behavioural sequence? I think cats get stimulated by petting in a similar way to being stimulated by play almost? 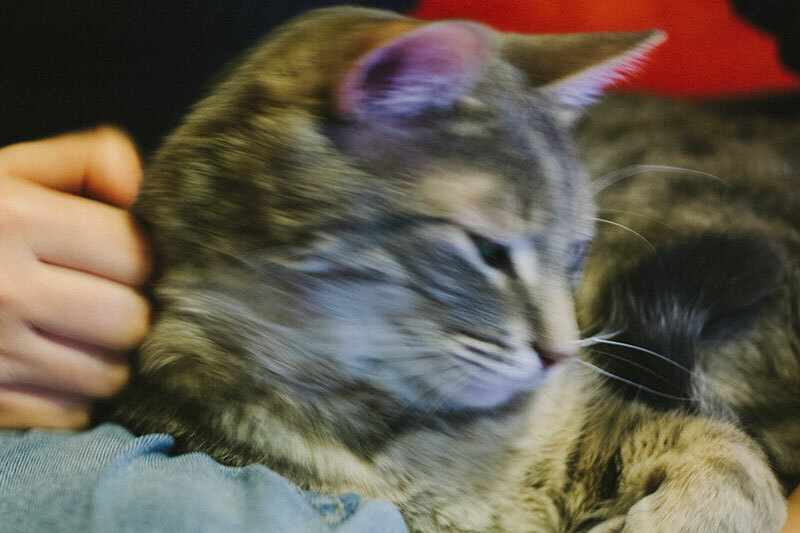 Like they have fuzzy lines between the two types of stimulation and sometimes the blur makes cats feel like being affectionate and playful all at once. Maybe because with other cats, it’d be no problem to start play biting and play fighting. Just a theory, one I think fits your cat’s behaviour and that I’d love to see researched. I’ve got a 10-month old kitten who likes to nibble while playing. I don’t mind as they are not hard bites, but occasionally she gets too excited and chomps harder than she should. I give her a warning – she does seem to understand my warning tone – and at that point she will switch to licking, as if to say “I wasn’t biting you Mommy, see?” Or maybe she thinks if she licks, it will entice me to stay and not end her playtime…? I have a cute little female kitty that i named Monkey Moo or Moo Moo!! !She loves to bite then lick me and at first i was confused about this behavior but now i get it! !She was showing me affection! She knows that im her daddy and im the one who feeds her and cleanns out her litter box and she Loves me as ido her! She now is approximately. 9 months old now does anyone think this is the time that I should get her spayed?thanks for replies!! Double check with your vet on when to get her spayed. I think there’s an ideal time to do it (above a certain age), I’m just not sure when, sorry! Females can become pregnant at four months onwards. Get her spayed asap. Thanks for chiming in, Renee! I have a dominant female seal point Siamese cat (traditional not the modern one). She is a very nice kitty but is highly territorial, which I found out when I tried to cat sit another cat for a friend. She wasn’t having it. Anyways that’s a different story hahah. As you know Siamese are very driven by human interaction and attention, to a point that it can drive some people crazy. I get love bites all the time when petting her. Nothing hard. Then she licks. She sometimes indicates “okay that’s enough petting”, but minutes later she wants more attention. This isn’t the kind of cat for everyone. If people want a cat that’s aloof, don’t get a Siamese. They are demanding, bossy, very territorial, but also very sweet and loyal cats that are always around by your side. And don’t even ask about vocal behavior. I think my neighbors know I have a Siamese. Sounds like a stereotypical Siamese to me, haha. They’re so beautiful, and have such powerful personalities, but I agree with you, they definitely are not for everybody. Thanks for sharing your experience with her, Giancarlo! Used to have a cat named Roxie. She wouldn’t “love bite” maybe she loved a lil too strong, she’d draw blood! Well anyway, we call it the “bite and bolt”. She’d take off and hide after she drew blood. Haha, yes, she does absolutely sound like she loved a little too strong. Adore the term “bite and bolt” – genius! What an amazing comment, thanks for sharing, Julie! One of my former cats (now deceased) had a very odd habit. While patting him, he would hold down my hand, give it a nip and a lick, but then continue to hold down my hand. ANY attempt to retrieve my hand, either to play, pet, continue what I was doing or just leave, was met with a harder bite. I’ve had my hand stuck under that cats ownership for half an hour. Even did it while I was using the computer mouse one day. Nip, lick, curled up and would not let me move my hand. The look on his face even suggested “Go on; try it!” Such a beautiful baby! 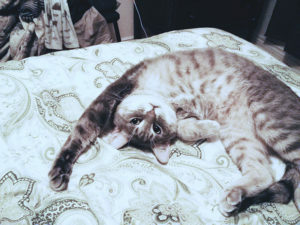 Cats can be so quirky and unique about even behaviours that are common amongst them; s’crazy how much purrsonality they’ve got! Hi, just came across your blog. I have a new cat Nori, or Naughty Nori as she is sometimes referred to. Our senior cat of 18 years was is hospice Care by us and I saw Nori at a adoption both in petco while buying things for my senior. Instant connection. Nori was listed as being approximately 1 year old and was found two months earlier on the street with her 6 kittens. 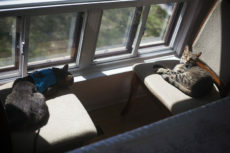 The kittens were weaned and adopted and Nori was spayed and put up for adoption. I’ve never had a “momma Kitty” before so I’m not sure if her behavior is the momma instinct kicking in. She loves pets and play time equally. When I pet her she rolls on her side and purrs like crazy. You can pet her anywhere even the “danger zones” of feet and belly. When I pull my hand away she grabs it with her paws, claws out and pulls my hand to hear face and bites. Not breaking the skin but stong enough to hold my finger in her mouth. She’ll then let go, lick and bite again. I’ve had cats previously that have signalled being over stimulated with a bite so I would recognize that behavior but what Nori does is a bit different. Any thoughts or insights? Also she purrs consisting while she is doing this. Dyson is a stray we found under a porch. He was almost dead and I still have no idea how he was able to walk out from under that porch when we offered him food. He was absolutely nothing but skin and bone-almost no muscle mass even. Eyes matted shut, we thought he was blind and actually missing one of them. Ears all bitten off and horrible fleas. He had a very large abscess in his tummy from a gash about 6 inches long. When we took him to the vet we found out he is at least 10 years old, has FV1, is most probably blind in one eye, has very large abscesses on both eyes and that he had no ears because he’s actually a yellow tabby Scottish Fold. Pure bred triple fold. He was only 7 pounds when we brought him in and that was including almost a pound of infection from his wound. Fast forward 2 months and he is now a whopping 12 pounds, has gorgeous yellow eyes (one has an odd reflection from the partial blindness though), and is the most confused thing I have ever met. He has never been aggressive with food as most strays are and has never been one to shy away from people, however, he is AGGRESSIVELY affectionate. Lol. He can’t ever decide if he wants food or pets and usually causes us to dump his food all over the kennel from slamming his face into our hand hoping for pets. He does the lick/bite thing too, but I really think it’s because he’s confused about what he wants. He wants the food, but wants the pets too. He will eat the food and turn around and bite you if you’re not petting him, but if you do pet him, it distracts him from the food because he keeps shoving his face in your hand to get more loves… then he bites you. And he bites hard. Lol. Never broken the skin, but left marks for a couple hours on numerous occasions. When you have cuddle time with him (he has to stay in the kennel because his wound is not healing well, it’s in an odd spot and the stitches keep tearing out) he will hug your hand to his chest and lick and lick and lick till you think its gonna fall off… then he bites you. Hard. Then he licks you again. If you try to stop petting he will grab your hand back and bite you again. If you pet the same spot for too long -usually cause he won’t let you move your hand since he has your arm in a half Nelson- he’ll bite you again… lol. Does anybody else’s cat do this? It sounds absolutely adorable! Update: he is almost healthy!!! He is a super fatty now (because he had to be in the kennel for so long he gained weight, but not muscle mass) and still nutso about pets. I am hoping to find someone to adopt him since I’m not supposed to have pets in my apartment. If you know anyone, or if anyone is interested in giving him a forever home please let me know! Yes. I had a sweet little girl who was a stray at my mothers house. Waited for us to come outside just wouldn’t want us to go back inside. She would watch me at the window day. Finally, I decided to take her to my house to foster because she was so affectionate I thought she was going to trip my mom. I had her in a spare room to get her acquainted with the house and other cats. I would go in and feed her and cuddle often every day. And boy, did she demand attention!! She would bite and not let go if I stopped petting her. She even would bite my ankles if I tried to leave the room. I would have to firmly say “no” or “stop” for her to let go. Then she would run and I felt horrible. But she broke skin twice and I wound up in the hospital from the bite! Soon found out she was expecting. Even after her babies came she would jump up and leave them when I came to visit them. Finally, I found a lovely technician at the vets office who offered to take the little family. I miss her, but I know shes getting the best of everything with her new mama. She sounds like an absolute doll! Good on you for taking her in to foster and for making sure she found a good home. Isn’t it incredible how much of an impact some cats can make on our lives in such a short time? Hi Elise I become across your blogs recently and they are so informative and helpful. I have 3 cats. Pixie, Piper and Pablo. I noticed Pablo will groom the girls so much, so I am guessing he could be the dominant? I’ve also noticed when I stroke Pablo he will purr and seem to enjoy the fuss and attention but he does always want to mouth me so like gently bite. It doesn’t hurt but I am not a fan of it. The girl cats I have don’t do it. How do I get Pablo to stop. ? Hey CJ! Likely he is dominant. Maybe it’s because he’s a boy as well, as apparently male cats do a lot more allogrooming than female cats. I’d love for you to read over my article on why cats groom one another and let me know how the research I’ve found matches up to your own personal experience! Absolutely love creating theories about quirky cat behaviours like these. 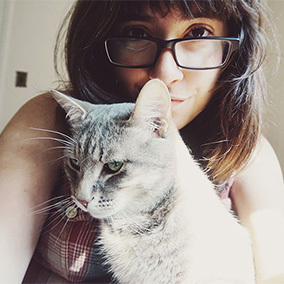 About the biting during cuddle time, I’d recommend taking a look at my recent article on why cats chew and bite fingers. Essentially, pretend it’s painful, say “Outch!” then take away your hand, or say “No!” and take away your hand whenever he bites. Repeat this process enough and he honestly should get the picture (that it hurts and that he should stop or that you don’t like it so he shouldn’t do it). My cat, Luna, would do that when agitated. When becoming particularly stressed she did what animals do and ‘lash out’, like swiping or biting. However, after she did that, she would kid of do a soft, frustrated meow and give licks briefly (this all takes place on hands/arms). To me, it seemed as if she would do what is instinctual but know that it hurt me and she doesn’t like hurting me (on purpose) so she’d say sorry but still require me to give her space during those times. That sounds like the perfect interpretation of her behaviour to me! Oh man, yes cats are weird, you’re right! 😉 Glad Charlee and Chaplin don’t do the bite thing, otherwise if they did it to you – you might get the wrong idea! Thanks for stopping by, Dennis! I have a new kitten who bites when he’s hungry. It took me time to put two and two together. He usually bites while I’m sleeping to get me up. He comes at me from all angles and does not stop until I get up to feed him. Playing with hands is a no no with this dood. I think he’s got Lion King symdrome. He is far too aggressive at six months old. I really need to curb this behavior now before he gets any bigger. He’s going to be a large cat. I definitely agree with you on the curb-it-before-he-gets-big front. Obviously, have to admit your comment made me fall in love with the fella – he sounds too cute for words, but definitely the best time to get rid of those bad habits is when he’s young, as it’ll start to hurt when he grows into his adult teeth! Good on you for being careful to get rid of his bad habits early. My cat licks and bites but not in a playful way. Instead she bites and licks her ears, feet and what else she can get at. Due to this her ears now have scabs inside and out. What could cause this and what’s the problem? I’m actually not completely what could be causing this! I will need to look it up, Crystal, but my first hunch is that I think it might be what’s sometimes called cat barbering or cat over-grooming. Here’s a quick article that turned up on the topic, but I’ll do my best to get research done and write up an article of my own compiling all the information I learn! Thank you so much for discussing this! My kitty, Pretzel, will come up on my chest when I’m lying down. She’ll purr and bump my hand to pet her, even to the point of pulling my hand toward her. Then she’ll move up and gnaw the lick my chin. Then she’ll curl up against my neck and go to sleep. Oh man – wayyy too cute <3 I would die of happiness if this is how Avery greeted me before bed every night. That’s pretty funny. Definitely seen a lot of cats who do the warning-show-of-teeth without the actual bite. It’s so interesting how different behaviours are from one cat to the next! House Cat in Europe or the UK? How Do You Deal With Windows? 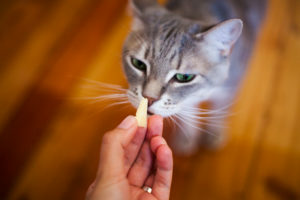 Can Cats Eat Cheese Safely? What Types? Cheddar, Cottage, Cream, Feta?